The smaller the room, the harder it is to decorate. This is especially true in environments which need to be highly functional, like the bathroom. Unfortunately it seems that when it comes to space considerations, the bathroom usually gets the short end of the stick, and often this will be the tiniest room in the entire house. However that doesn’t mean that you can’t decorate the space, it just means that you have to be a little bit clever and creative, to create the attractive and functional atmosphere you desire. First, you should look at the inherent structure of the room. Many bathrooms are lined with ceramic or natural stone tiling consisting of colors set into various patterns. Others will have walls painted in various shades. Bathtubs, toilets, and sinks, all of these immovable objects are part of the inherent architecture of the space, and as such they should set the tone for any decorative moves that you make. Beyond the architectural bones of the bathroom, there are a variety of functional necessities which will be a large part of the room’s décor. Things like shower curtains, trash bins, soap dispensers, coasters, and functional shelving are all present to serve a purpose. And yet because they are not permanent items, they can be purchased in a variety of colors, or even patterns. This allows you to create a layer of decorative functionality over the inherent fixtures in the space, either complimenting them, or contrasting them for dramatic effect. Beyond this, there is yet another layer of functional items which you can use to achieve decorative control over the room. Items such as throw rugs , toilet seat covers , and window curtains are all useful to have in a bathroom, but aren’t always necessary. These are items which are as much decorative, as they are functional. They allow you to add to the beauty without detracting from the purpose from the room, and actually act as enhancements to that purpose. Here again, you should strive to choose colors, patterns, and pieces which flow comfortably with the other layers of architectural and functional décor in the space. There is one more layer of items that are found in a bathroom, which are necessary anyways, and so do not take up any extra precious space, and yet they can also be chosen to help elevate the beauty of the room. Towels and wash cloths are quite prominent in the bathroom. They are also available in any of a wide variety of colors and patterns. When choosing towels, it’s important to select pieces which are appropriately matched to the other elements in the room. Since towels and washcloths are transitory, moving in and out of the space as they are used, you can purchase several sets and use them to completely change the look and feel of this room every few days. 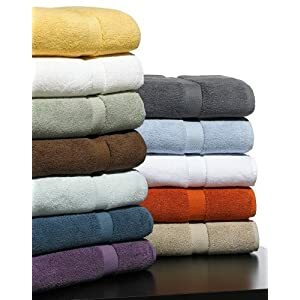 However you do have to be careful about having more than one set present at a given time, as the two different towels or cloths may end up clashing with one another. Your best bet is to get on a schedule of cycling all of the bath linens out of the space each week, replacing them en-mass with a fresh set on a regular basis. 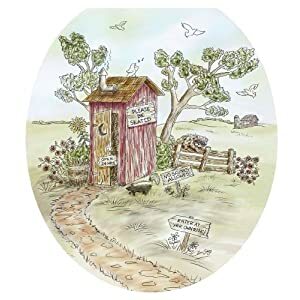 As you can see, there is room to decorate even the smallest of bathrooms. Just look at the items which are inherently necessary to the space, and use them as decorative elements, coordinating the flow of colors and patterns to produce a room which is beautiful and inspiring to you. Florin Copaceanu has been a certified Realtor in the New Market, VA area for 8 years. If you are looking to buy a home in the Shenandoah Valley Or Rockinngham areas, then you are in the right place.